Northern Tobacco E Juice is a straightforward flavour that features our renowned Blonde Canadian Tobacco and is the ideal all day vape for those looking for an aromatic and satisfying experience. 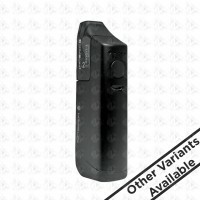 Salt NIX is the newest technology in nicotine delivery! 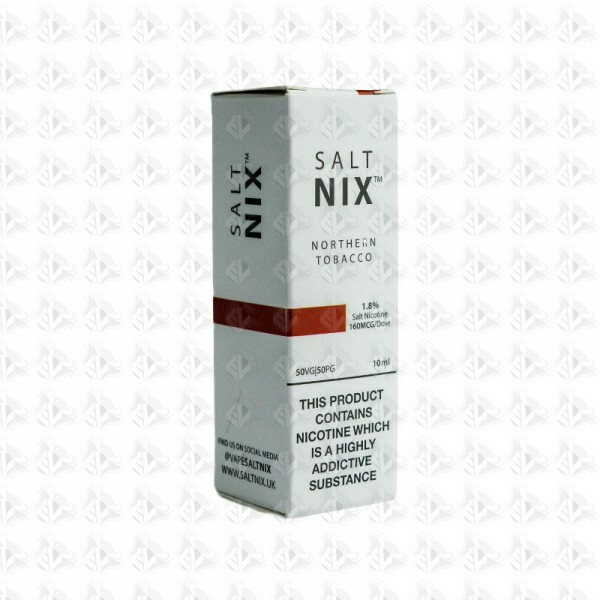 More concentrated than traditional e-Liquid, Salt NIX work exclusively in low wattage devices. This proprietary nicotine formulation undergoes a treatment which effectively neutralizes the harsh throat hit of associated to freebase nicotine. At Salt NIX, our nicotine is always benzoic acid-free to ensure slow oxidation, awesome satisfaction and no strange aftertaste. This process allows Salt NIX to be mixed at a much higher concentration to assure only the best vaping experience for our users.